About Sandra M. Message Sandra M.
Our ship docked at an alternate port which changed our plans. We notified our guide, Sandra, the night before and she rearranged our tour. We drove to Camogli and took our chartered boat ride around the coast. Camogli is a sight to behold and is a wonderful place to enjoy lunch and people watch. San Margherita and Rapallo are beautiful to view from the water. Thanks to Sandra, we did not have to cancel or venture too off our original plans. She went above and beyond to give us a day to remember. Lovely day traveling to Portofino to experience the beautiful city with it views and famous food. Sandra was a great source of information and was extremely flexible, giving us great options to enhance our experience. Sandra put together a great day of touring. We walked through Portofino and then drove through coastal towns to Genova. We visited the Jewish Cemetery, Synagogue, city highlights, and medieval parts of town. We had a lovely lunch and then drove back to Portofino with a stop in Santa Margherita, a coastal town close to Portofino. Sandra was very knowledgeable and organized and provided a great experience. We would not hesitate to recommend her. TOUR GUIDE RESPONSE: Hi Susan, Thank you very much for your rewiew. How pleasant has been the day with you and Matt! You will be always welcome in our land. I wish you to come back in the future. Don't forget to send me news from you as I hope meeting you in your country! May be a zodiac signs meeting! Big warm hug. We went to several older small shops for gelato, chocolate, tea & china used on cruise ships back in the early 20th century. We also went to several palazzos which were beautiful. Quite a different look at Genoa - totally enjoyable and absorbing. Sandra helped me find an antique map of Chiavari area not daunted by the lack of maps in several of the shops we initially tried. Sandra also helped me to get on the train to Milan airport which was most helpful. 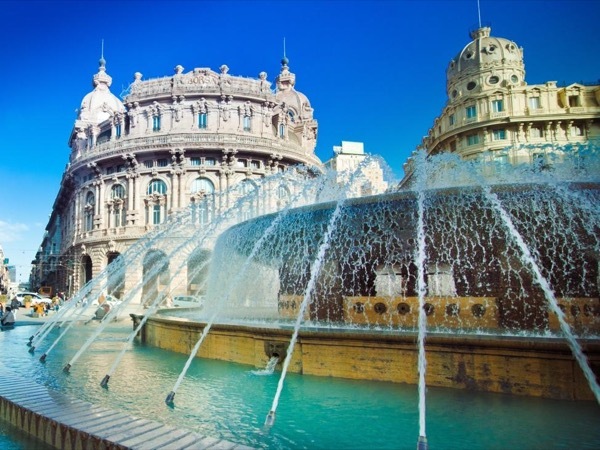 Genoa is a wonderful city - and so is Sandra! TOUR GUIDE RESPONSE: Dear Carol, thank you for your review. It will be very useful for many others travellers with Italian origins. You know it has been a pleasure for me to share with you this experience. Take care of you ! Sandra was wonderful, knowledgeable, patient, answered all of our questions and was a fantastic guide for our family. We had a great experience and recommend her highly! It is my pleasure to give my highest recommendation to Sandra. She is extremely knowledgeable, professional, and pleasant. But, more than that, she brings with her a warmth of personality that makes one feel like they are spending the day with a good friend. Furthermore, Sandra was very perceptive and sensitive to our needs -- be it tasting local cuisine, getting the best photograph, or finding the most memorable sights. One thing's for sure: The next time I'm in Italy, Sandra is my first call! Sandra is a wonderful guide and knows Genoa very well, including it's history from Roman times to current. She kept our teenage sons interested and engaged. We would highly recommend her. I and my friends found Sandra to a very friendly, warm and communicative guide. She proved to be a good advocate and worked to maximize our access to sites normally closed on the day we had--Sunday. 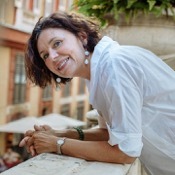 Sandra's approach suggested her strong affection for Genoa. We enjoyed her company very much and commend her skills. Meeting at the railroad station was easy and it was a great place to start the tour. The city unfolds from there through its various historic "eras." Sandra's comments were insightful and she elaborated in areas that connected with our interests. In no way could we have seen this complex city and understood it as we did without this helpful guide. It was a fun morning. What a pleasure Sandra was! Working with us to design our tour as we meandered through the Italian Riviera. Sitting on the shore line of Portofino sipping Limoncella spritzers & eating fresh focaccia & cheese bread ... what a day! It did help that the weather was spectacular & the traffic was light ... but this only added to our overall satisfaction. We never felt that we were being held to the tour time limit. Sandra took us to places that were not scheduled adding to the relaxed day. Book this tour! Sandra was an excellent guide, very knowledgeable of Genova and it's history. I appreciated that she spoke English very well. Highly recommend her. Sandra is a fantastic guide. She is very knowledgeable (her english is excellent), interesting, energetic, flexible and kind. We spent a wonderful day exploring the Italian riviera with her and our chauffeur and we definitely recommend her services to everybody! Sandra is a 5 out of 5, she was intelligent, kind, sophisticated and extraordinary knowledgeable about the area. Sandra was able to efficiently show our tour group all of the things we planned for and more. No one would hesitate in hiring Sandra upon our return. This tour was awesome, and our tour guide, Sandra, was beyond amazing. We couldn't have asked for more! She was knowledgeable, helpful, interesting and so kind. My mother had a bit of a health issue along the way, and Sandra was amazing with her. She's the best tour guide we've had. Truly the best. I highly recommend this tour and the awesome Sandra as tour guide. Fantastic guide, extremly knowledgeable, very accomodating, could not recomend her any higher. She covered everything in the area we wanted to see and was very flexible for our needs. Sandra was an excellent and knowledgeable Guide. Highly recommended!! Sandra was a great guide -- especially skilled at getting us into the most popular places ahead of the many crowded tour buses following in our wake. She was knowledgeable, informative and flexible. Sandra was incredibly knowledgeable about Genoa. We thoroughly enjoyed our tour. She made the city (both ancient and modern) come to life! Sandra was great. She worked us in on short notice, did tours that day and though she must have been exhausted, it never showed. She was good natured and was so informative. I highly recommend a tour with her. Sandra was an excellent guide - from organising the tour, to accommodating changes, explaining all the interesting sites, etc - and most importantly, gauging the mood of our large group and adjusting the speed & nature of the tour to suit everyone. I would highly recommend her services. TOUR GUIDE RESPONSE: Dear Arjun, Thank you for your comment! I have been a pleasure to work for you and your family. I enjoyed see Portofino as a perfect place for your gathering and me as a part of it. Sincerely hope to see you again in Genoa in the future as to show you more of my city. Wishing all the best to you all. Arrivederci!